At 4 years old, a child should be able to catch and throw a ball. She should be able to start writing her first ABCs and 123s. She should be able to tie her shoes and touch her nose. At that age, she should be able to put together puzzles with ease and manage toys with small parts. That’s what a 4-year-old should do. At 4 years old, Allison Dyke was … difficult. Everything was meltdown material; from breakfast in the morning to brushing teeth at night. It seemed that no matter what was asked of her, she would adamantly refuse. And she would scream. And she would cry. And no one understood why. It never occurred to Julie, Allison’s mother, that there was anything wrong other than having a strong-willed child. But thankfully Allison’s preschool teacher noticed something that everyone else had overlooked: Allison only had fits when tasked with activities that required her to use her hands. When it came to manual dexterity, something that 4-year-olds should be making strides in, Allison was falling further and further behind her peers. She seemed to be having difficulty getting her little hands to cooperate. They seemed to shake. Julie never made the connection until they got the diagnosis. Of course there were some members of the family who would shake, but they were in their 60s. She thought that’s just something old people do, they just shake sometimes. But her daughter was only 4. “After all the testing Allison went through to rule out other conditions, it was a relief to finally have a name for it, a reason for her struggles,” explained Julie. 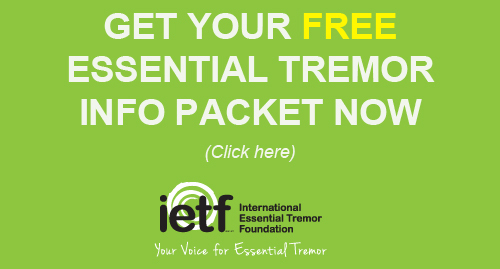 Allison was diagnosed with essential tremor. After the initial surprise had passed, that’s when Julie began to get scared. “I went through all the lists of things I wanted for her, ballet classes, riding a bike,” she said. “I was so disappointed for her as I thought about all the things she wouldn’t be able to do, all the things she would miss out on.” It was difficult for Julie to accept the limitations that had now been put on her perfectly healthy 4-year-old daughter. It was difficult to explain it to friends and family. Like her, they had no idea what ET was or that it could affect children. “People were always asking me questions about it all the time,” Allison recalls, “I think it was hard for them to relate or know what to say about it.” But it definitely made Allison feel different, and not in a positive way. As Allison transitioned from preschool to elementary school, Julie was able to work with the school to get an educational plan in place for Allison consisting of physical and occupational therapy. Although this was a great opportunity for Allison to get the extra help she needed to be successful, the children in her class saw it as something altogether different. In their eyes she was going to “Special Ed hour” where the “dumb kids” go. One little girl, we’ll call her “Stacy”, was particularly cruel. At 8 years old and in second grade, Allison had become withdrawn and self-conscious. She felt awkward and different, and Stacy fed on those insecurities. Nearly every day on the bus ride to and from school, Stacy would harass Allison. She would say and do anything that was hurtful. She teased about Allison’s shaking and how she couldn’t even tie her own shoes. One can only imagine what it was like to sit on the bus, surrounded by the hateful giggles and cruel words, with nowhere to go and no one to turn to for help. “Every night she would come home from school and just cry,” recalled Julie. “For a long time, she wouldn’t tell me why, for fear that I would make things worse if I got involved. It was so hard because I think Allison really believed all the things that girl said to her. She did struggle to tie her shoes. She was different. She just couldn’t do the things the other kids could.” At just 8 years old, Allison had become a wallflower and seemed sad all the time. Julie knew that something had to change. Something had to be done. “I started her in extracurricular activities outside the school,” Julie explained. “We tried everything we could find that was even remotely interesting to her.” Some things, like basketball and ballet, were not a good fit. But at least Allison tried. Julie and her husband remained supportive and encouraging, knowing that eventually they would find something which she excelled in and enjoyed. She finally found that joy at the local pool. Not only did Allison swim like a fish, she loved it. It was a small thing … finding an activity she was good at … but it was her first small step forward in her journey. Being part of the swim team had given Allison a touch of confidence. So when she saw a sign-up sheet for a weekend-long training for a small, local pageant, she was eager to go for it. What 8-year-old girl doesn’t want to dress up in a ball gown and be a princess for a day? It was a natural pageant, meaning no make-up or short dresses, so Julie agreed to let Allison give it a try. However, when the big weekend approached Julie started to doubt her decision. Allison began to fret about how perfect and popular the other girls would be, and how she was not. She was so afraid this would turn out to be the same horrible and humiliating experience she had every day on the school bus. 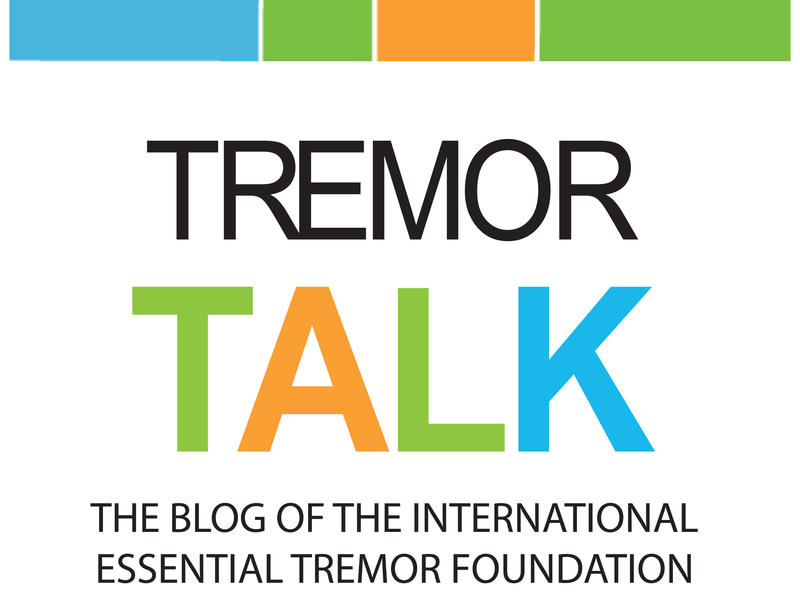 “At the beginning of the pageant weekend her tremor was really showing, and I wondered if putting her in a situation where she would be judged on being graceful was such a good idea,” Julie recalled. But as Allison and Julie entered the ballroom with all the other girls, Allison was immediately greeted with friendly smiles and a warm welcome. No harsh words. No funny looks. No mean spirits—just a bunch of pretty, pretty princesses of all shapes and sizes, with all kinds of differences and challenges of their own. And no one cared. “What we thought would be a disaster turned out to be an amazing experience,” Julie said. Over that one weekend Allison learned more than she ever dreamed. Not only did she learn how to stand “like a lady” and how to speak clearly in front of a crowd, she found a bit of herself that had been lost—a shining part that had been hidden away by that bully’s cruel words. At the end of the weekend, when she had to cross the stage to give her 45 second introduction in front of 200 strangers, she did it with such poise and confidence, even her parents were amazed. She was transformed. She had made new friends, got to wear a pretty gown, and no one teased her or made her feel uncomfortable. Allison didn’t win the crown that weekend or even place, but she really didn’t care. What she gained was worth so much more. 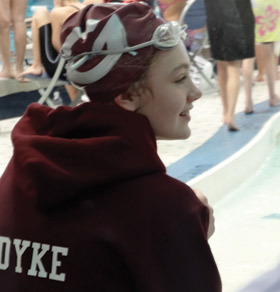 As Allison continued to compete, in pageants and swimming, her self-confidence began to build. She began to realize that she was more than what that bully, Stacy, made her feel. And she found she could do more than she thought; it took a little longer and required a little extra effort, but it could be done. “Her whole attitude began to change,” her mom explained. “It was like one day she just decided to make a change. Enough was enough.” She had found something hidden within her own heart that sparked a drive to succeed. The very first thing she set her sights on was her shoes. If she accomplished nothing else, she was determined to tie her shoes, on her own, without help. She practiced and practiced, until her little, shaky hands were sore. And although it was frustrating and took a lot of time, she did it. She did it on her own. Next, she practiced walking in heels. Then she practiced her movement on stage. She practiced how to hold her hands as she spoke. She practiced her speech. She practiced and practiced, and then practiced some more. She began to put her full effort into her therapy sessions at school, knowing that if she mastered her goals, she wouldn’t have to go to “Special Ed hour” anymore. Even her teachers noticed a positive change in class. She began to move away from being the wallflower she was and started socializing more with her classmates; raising her hand in class whether it shook or not. Now at the ripe, old age of 16, Allison has grown into a true beauty, inside and out. 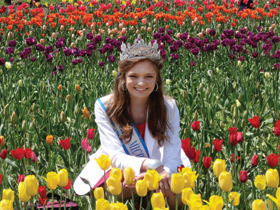 Between competitive swimming, Irish step dancing, Girl Scouts, maintaining a 3.8 GPA and volunteering at the local library and Ronald McDonald House, she has also won herself the title of Miss Great Lakes State Jr. Teen, and Miss Michigan Jr. Teen. Not bad for a former wallflower with shaky hands. Allison is an inspiration to her parents, her family and her friends. She will continue with the pageant competitions, since the winners are awarded with educational scholarships. She plans on attending the University of Michigan once she completes high school, and would like to get her Masters in Library Science. She would also love to represent her home state of Michigan in the Miss America Pageant, so she can educate the world about overcoming adversity and essential tremor. So Allison will keep swimming, volunteering, getting good grades, and doing all the typical things that young ladies do. And although she may struggle with the curling iron, mascara wand, and an occasional 3-inch heel, she knows the real competition is already won. Every time she steps out on to the stage, she wins. She may not win a crown, but she is living her dream, and that’s a win—every single time.